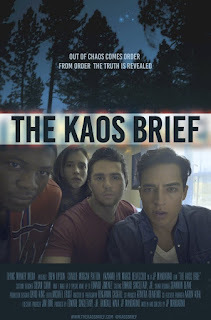 Feature debut for writer-director Mandarino finds an compelling spin on the found footage structure: it’s framed as released footage from Hacktivist group “Kaos” and its masked, Siri-voiced spokesperson, who claims we are about to watch suppressed documentation of stuff our governments are happy to lie about. Narcissistic Skylar (Drew Lipson) is taking his popular vlog on the road – specifically a mountain camping trip with his boyfriend and sister. 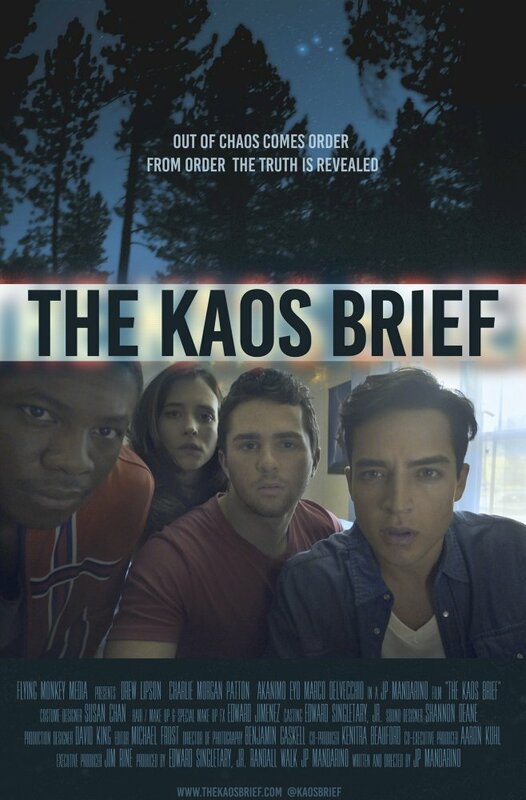 They end up capturing footage of an apparent UFO and eerily positioned rock stacks outside their tents a la BLAIR WITCH, but the movie subverts expectation by ending the camping trip safely at the 20 minute mark, and capturing more dramatic events when the group return home. The events are captured via a digital camcorder, a drone, an I-Pad, cell phone, Facetime, security cameras and even VHS tape as Skylar is menaced by intimidating IM’s and men in black on his doorstep. Despite the 21st century technology and Hacktivist framing, this consistently eerie movie feels most like a trip to X FILES-inspired paranoid sci-fi, with its sinister government forces, body implants, Big Brother-levels of spying on citizens and the Mulder-like childhood experiences of its protagonist. It loses conviction in the latter stages and lacks a satisfying pay off, but the characters are appealing and the movie offers a commendably unpatronising portrayal of a happy, attractive young male gay couple. Labels: Aliens, Found Footage, J P Mandarino, Sci-Fi, Sci-Fi London 2017, U.F.O.